World Pride Madrid 2017 is drawing nearer, and this city is one of contrasts. It’s a city that changes from street to street and neighbourhood to neighbourhood. I’ve set myself the singular task of acting as a zone-by-zone guide to the essential spots in Madrid that you simply must visit. Hot on the heels of the LGBTI-Friendly Guide to the Salamanca Distrcit, today I want to familiarise you with the ins and outs of one of the coolest, most diverse and cosmopolitan neighbourhoods that make up contemporary Madrid’s rainbow belt. The true historic and commercial heart of old Madrid, a destination for artisans and merchants, it was initially a haven for the aristocracy and the clergy, who were later replaced by a poor but upwardly-mobile middle class. 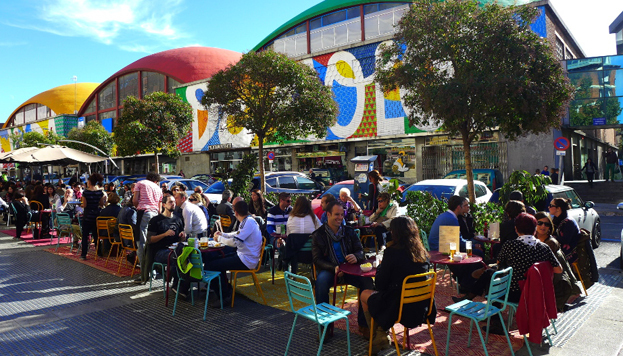 The once-walled neighbourhood began to realise just how much potential it had in the 20th century, and through the power of urban planning it has turned into one of the trendiest and most sophisticated urban hubs in Madrid. With this in mind, today I present my Complete Guide to LGBTI La Latina, a selection of essential spots enabling you to discover all of the potential and vitality of what has become the alternative to Chueca in Madrid. Grab a pen and paper, cuz here they come. 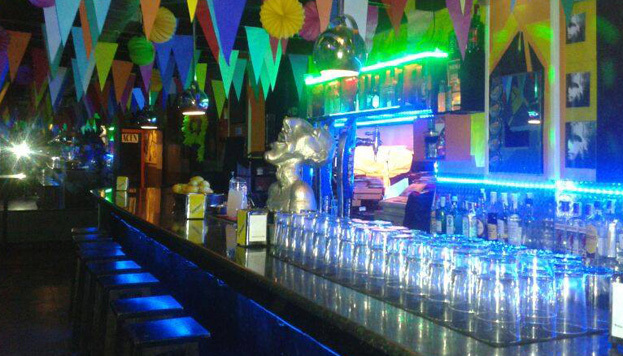 Unquestionably the best-known and most entertaining gay bar in La Latina. Though you’ll find good drinks and company any day of the week, Sundays are when it’s really happening. From the evening and well into the early hours, cocktails, the best music around and some of the best-looking guys in all Madrid await you. Two squares. In the area surrounding these nerve centres of neighbourhood life, you’re more than likely to bump into the most famous faces from Madrid’s show business and new art scene, and the countless outdoor cafés you’ll find in the vicinity are a paradise where you can soak up Madrid’s rays and atmosphere. The origin of it all. That is, the pioneer of this whole La Latina gay scene thing. 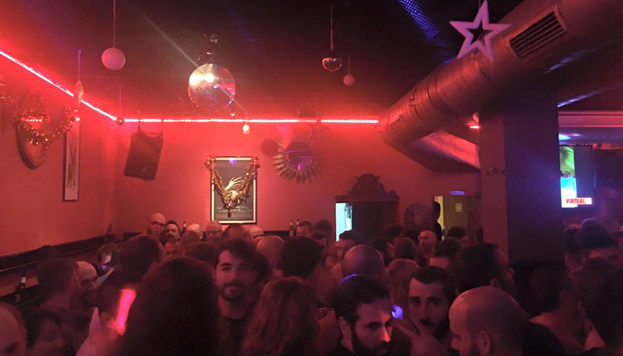 After thirty years in the neighbourhood (it opened in ‘87), it’s one of the essential gay-friendly bars for drinks and a night out in Little Chueca. Music and gin and tonics at a veritable institution humming with positive energy which, as is the norm in La Latina, is at its most lively on Sunday evenings and nights. Very modern lesbians, affectionate bears and impeccably groomed gay men flock to this mixed-ambience neo-tavern where catchy tunes and friendly, neighbourly banter are the predominant trend. 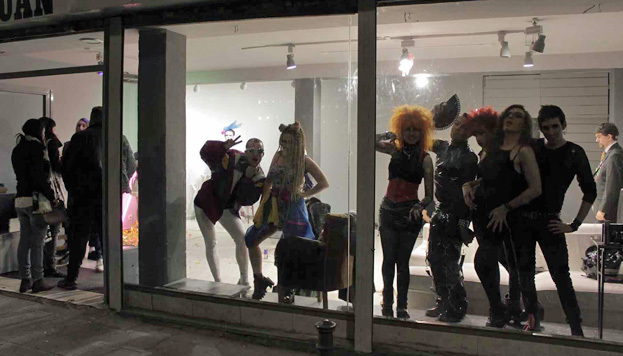 Recently, they’ve also been making the transvestite DJ sets a real mark of Chueca-style distinction in La Latina. It would be impossible not to make specific mention of the gayest street in the entire neighbourhood. Some of the places described above, and others like La Bámbola and Zaska fetish bar, round off a rainbow of opportunities for finding the man of your life. Or, for those of us who aren’t so daring… at least a furtive date. 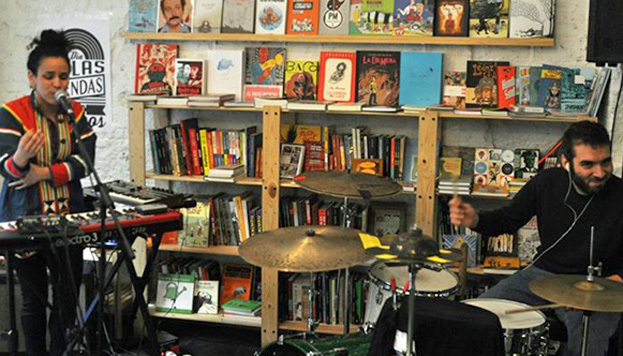 Records, books, coffee and sweet treats. A bit of a retro air. Comics, fanzines and t-shirts. A clientele somewhere between intellectuals and posers, but always based on La Latina-style postulates… this isn’t Malasaña. Really interesting music tracks, a haven for the nostalgic and a venue that invites a whole host of talks and cultural events. A total of 200 square metres, two rooms and a capacity for 55 people. 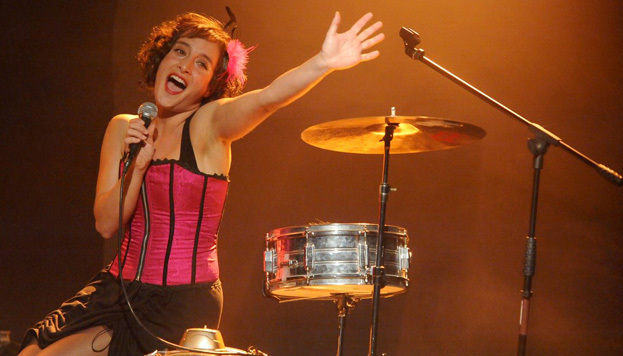 Small, undoubtedly, but enough to have enabled successful creation of a space with its own personality, seen in the fact that it’s the main venue for Madrid’s fringe theatre circuit. The programme frequently features numerous LGBT plays or productions with shades of social protest. 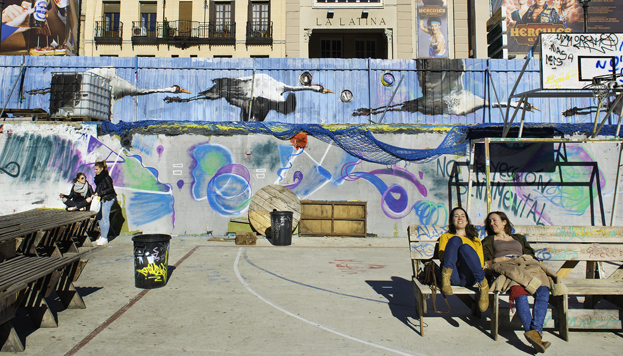 If you were looking for the ‘trendy place’ in La Latina, you’re in luck: this is it. 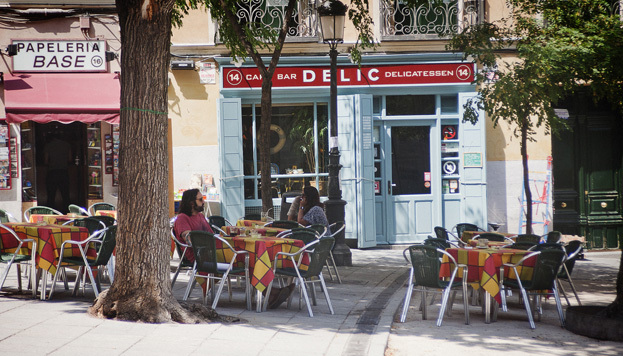 Located in the traditional Plaza de la Paja – the last point in the triangle this square forms with Plaza de Cascorro and Plaza de la Cebada – a stop at Delic is pretty much a must, if only for its eclectic interior design, although its sweet and savoury menu is just as enticing. And the best bit? Bazar Nicolás, the establishment’s own furniture and home decoration store. 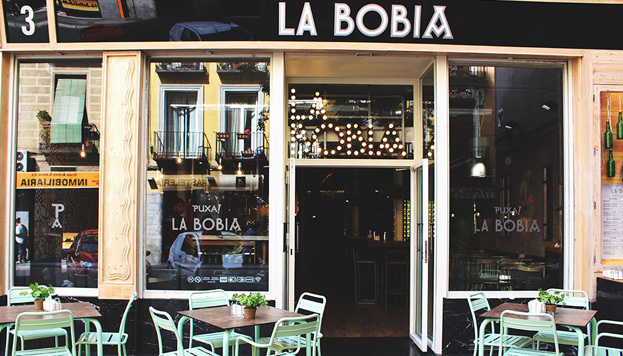 La Bobia is a sunny afternoon. A glass of fruit juice. It’s the look that the guy sitting at the next table throws your way. It’s cachopo (an Asturian dish of breaded veal, ham and cheese) and croquettes. It’s Asturias meets Madrid. It’s one of my favourite places to watch life go by in La Latina. Perfect for an afternoon catch-up with friends or for a casual dinner. Although it opened its doors some time ago now, in the space once occupied by the headquarters of one of Madrid’s leading newspapers, not only does this restaurant with a literary bent continue to be a trendy gastro spot, but its carefully designed interior also welcomes all sorts of events and some very interesting people. The homoest hairdresser’s/barber’s in the whole neighbourhood. 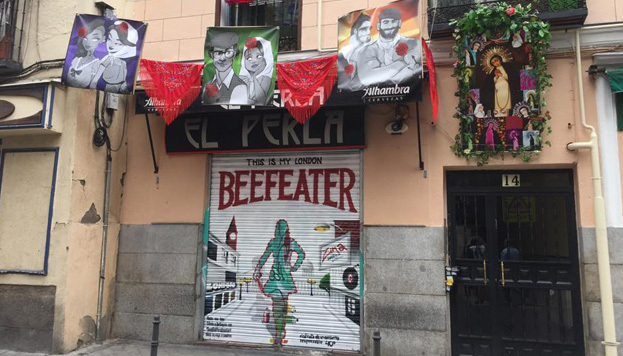 Frequented by large numbers of hairy macho men, it’s one of the trendiest male beauty establishments in Madrid. 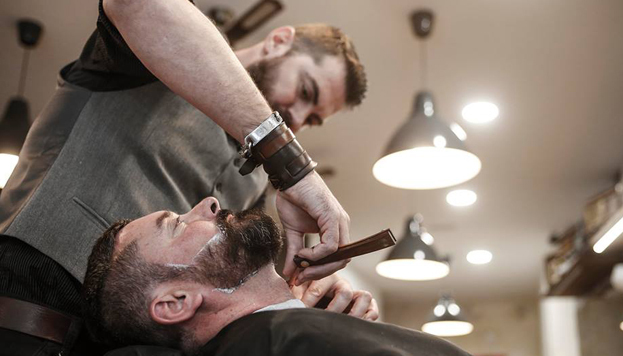 In addition to getting the perfect trim for your moustache and hair, you can expect to strike up some friendly chat and even meet some nice parade buddies. I’ll tell you one thing: we haven’t been slaving away at the gym all year to get fit for World Pride only to arrive in Madrid and start ordering chistorra sausages and spicy patatas bravas. 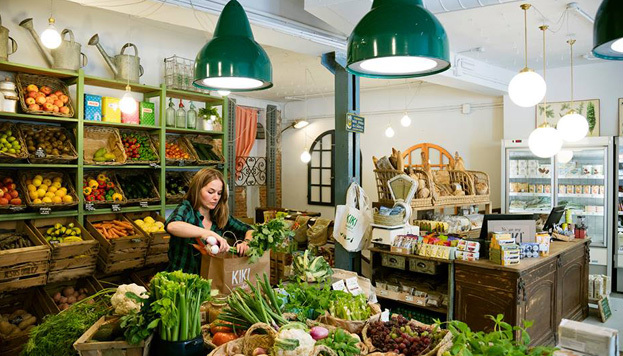 Let’s give thanks that places like this market with over 2,000 organic and healthy products even exist. 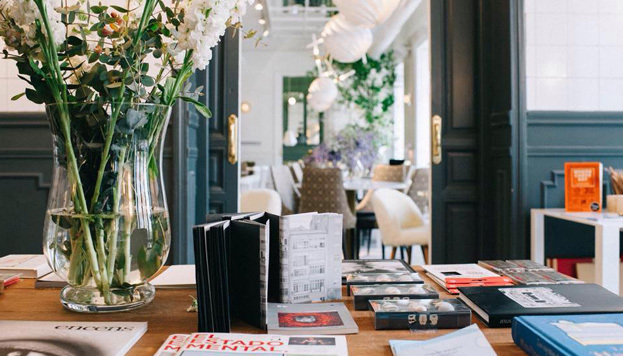 It already boasts two sites, one in La Latina and another in Malasaña. 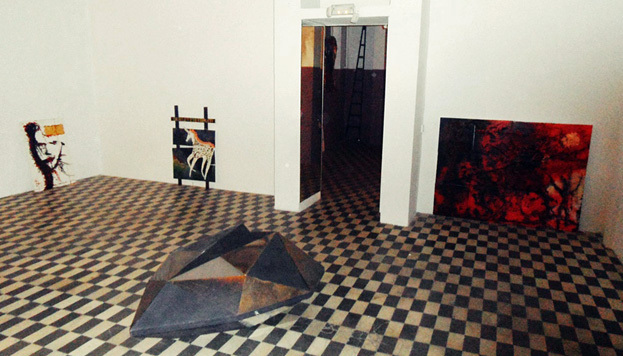 They call it “Madrid’s first performance gallery”. In a nutshell, living art. Or people with art, if you prefer. But the fact of the matter is that it’s one of those curious places dubbed regular hangouts of modern types and happening artists. Performance, touch, sound and images. Be on the lookout for the displays on their website. Although its programme is a diverse mix that you really need to scour for whatever interests you, Off Latina is a cornerstone of alternative theatre in the city. Its offering is vast and varied and its people charismatic. A must on La Latina’s most underground scene. 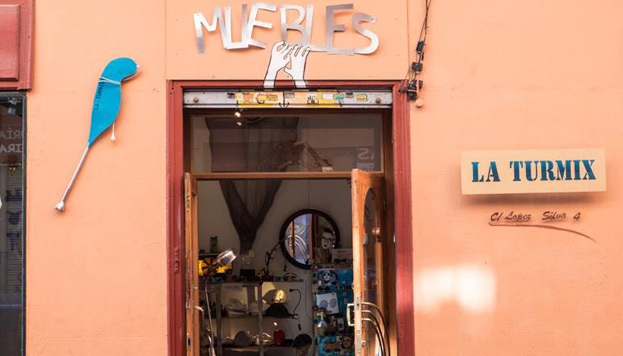 Antiques dealers, galleries and home decoration stores in La Latina can be counted by the thousand, but La Turmix shines with its own special halo somewhere between the queer and the kitsch that we absolutely adore. As you might guess from the name and the shopfront, the place is a bona fide jumble of ideas and retro items with everything from sculpture to painting, fashion and vintage furniture. Make sure to check out the private collection!